It all started with a turtle. 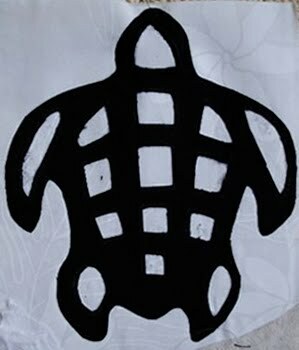 While reverse appliquing the final of a series of turtles, I nicked the underlying cloth. Just slightly. My internal dialog raged...No one would notice...It was tiny...I was keeping it anyway.. The bigger issue wasn't the turtle, of course. Check out this photo of the background that five turtles were going to be journeying across. Notice anything? Check out the border in the corners. That first problem had happened back in June. I had rationalized my way into letting it go and continued to cutting out the turtles. I wasn't thrilled but I had been really good at rationalizing in June. But, now it was July and I had another error - actually far smaller than the first - but big enough to cause me to step back and look at the real conflict. 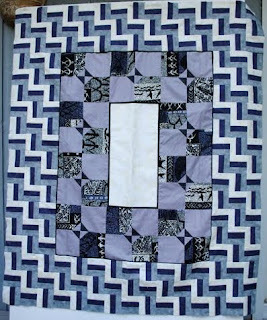 The truth was that I didn't really want to make an imperfect quilt, even for myself. If no one else ever noticed the errors, I would know they were there. 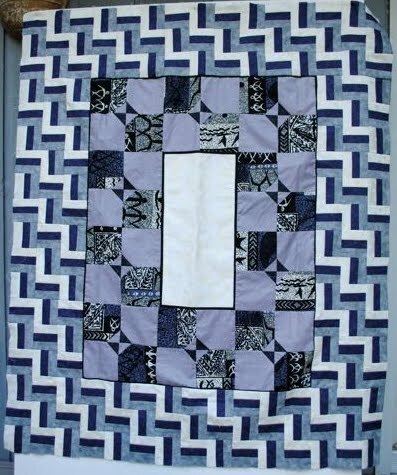 I didn't really want this quilt to be a reminder of my many imperfections. 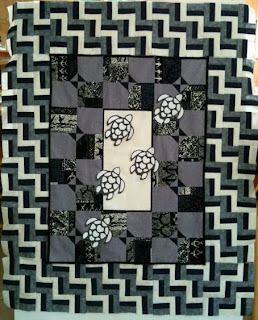 I wanted to smile every time I saw it - why else would you decide to put a groups of turtles crossing your quilt? The answer was clear. It was fine that I didn't want to cut out another turtle right now. I had a bigger issue to address. I really needed to be tearing out that border. Then I could deal with the turtle issue. And, that's what I did. Now I am smiling at myself and my background. Doesn't it look great! PS. Yes, eventually I cut another turtle too. Hummm . . . Very profound. Thanks so much for your comment! I thought of the Amish, Marguerite. Glad you brought it up. In fact, when I mentioned my original error to my husband, he referred to that tradition. I probably tried to rationalize for a month that I could leave the outside blocks as is because of the Amish. But, it didn't work in this case. :) Why? I didn't choose the imperfection out of a belief or philosophy. It was a mistake outright. 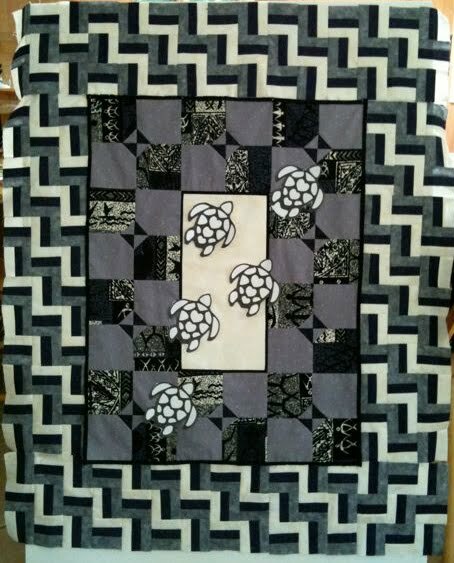 I think that is why I needed to fix it to feel really good about the quilt - which by the way is about to get sandwiched and quilted!